Faircent.com is India’s largest peer to peer lending website which caters to retail and business loans. Faircent helps in eliminating the high margins, which intermediaries like banks and other financial institutions make on loan transactions. At Faircent.com people who have surplus money lend it directly to people who want to borrow. Thus, we provide a virtual market place where borrowers and lenders can directly interact and transact without third party intervention. 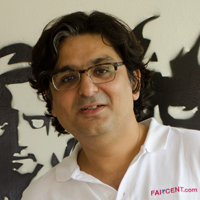 Headquartered in Gurgaon, Faircent.com, was set up in 2014. The company is promoted by senior internet professionals Rajat Gandhi (Founder and CEO), Vinay Mathews (Founder and COO), and Nitin Gupta (Co-Founder). Amongst themselves, they have a combined experience of more than 50 years in building large Internet businesses and listing them on NASDAQ. Through innovation, enterprise and dedicated customer-focus, Faircent.com has emerged as India’s largest P2P lending website with more than 30,000 registered borrowers and 6,000 registered lenders. 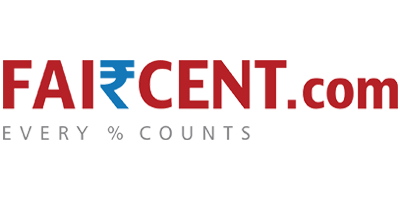 Faircent.com has in its nascent history garnered recognition from the Industry. It was showcased as one of the top start-ups at Start Up India, selected for the first batch of NASSCOM 10,000, part of the Microsoft Accelerator program and one of the top 10 companies from India to be selected for Web Summit in 2013. Faircent is acclaimed as the ‘Interbrand Breakthrough Brand in Finance’ by Interbrand, NYSE and Facebook in its Breakthrough Brands report 2016. Recently, it was selected as part of NASSCOM Emerge50 2016 awarded to India’s most innovative Top 50 emerging IT product companies.